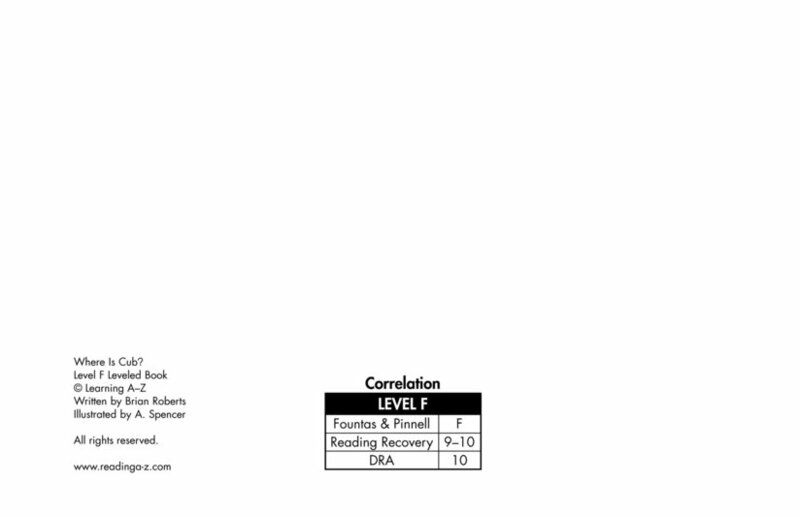 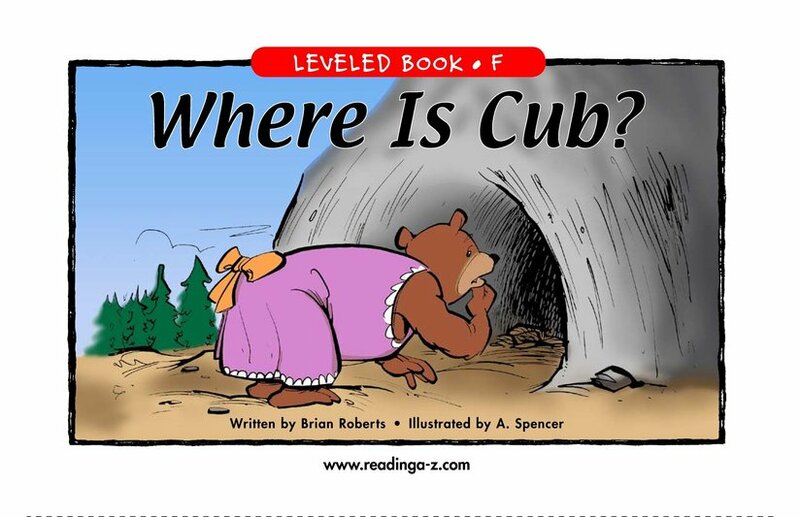 > Books > Leveled Books > Level F > Where Is Cub? 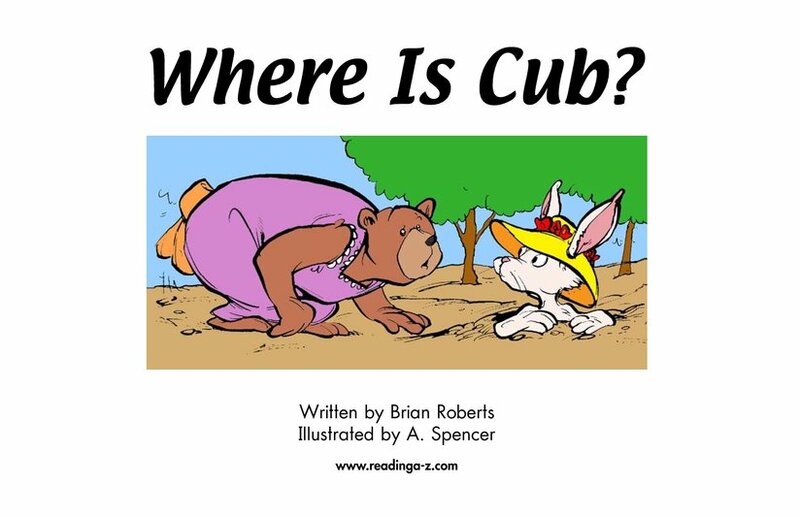 Where Is Cub? 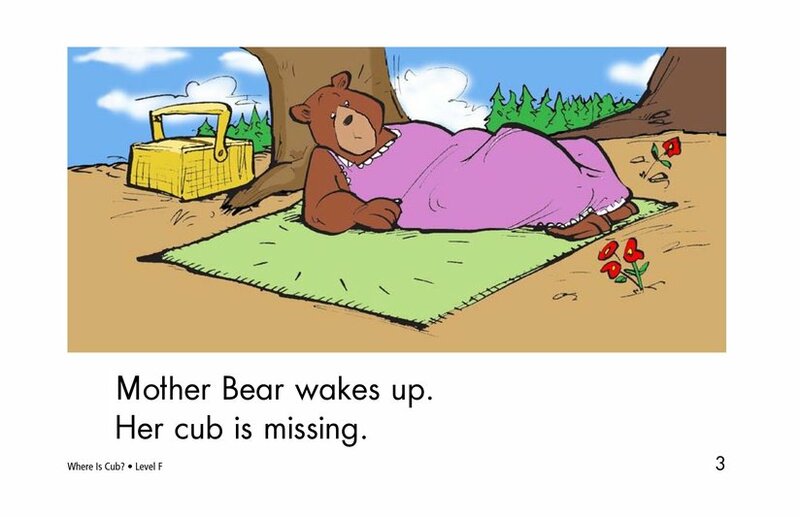 tells the story of a mother bear who awakens to find her cub missing. 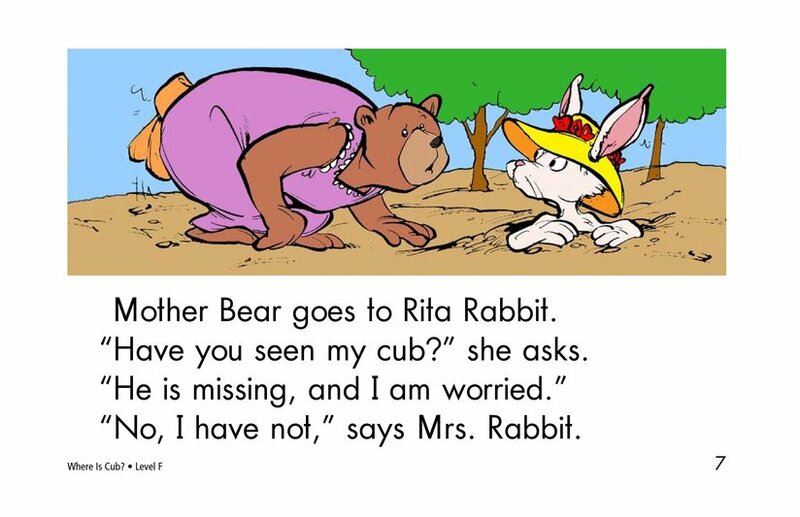 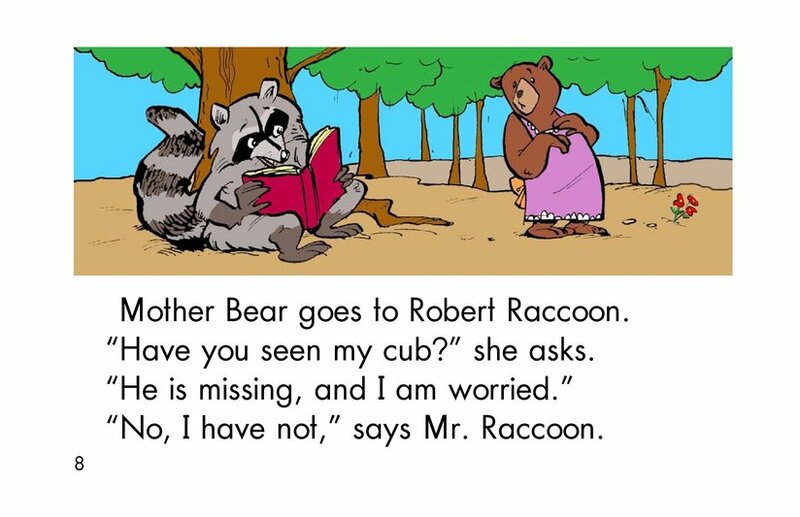 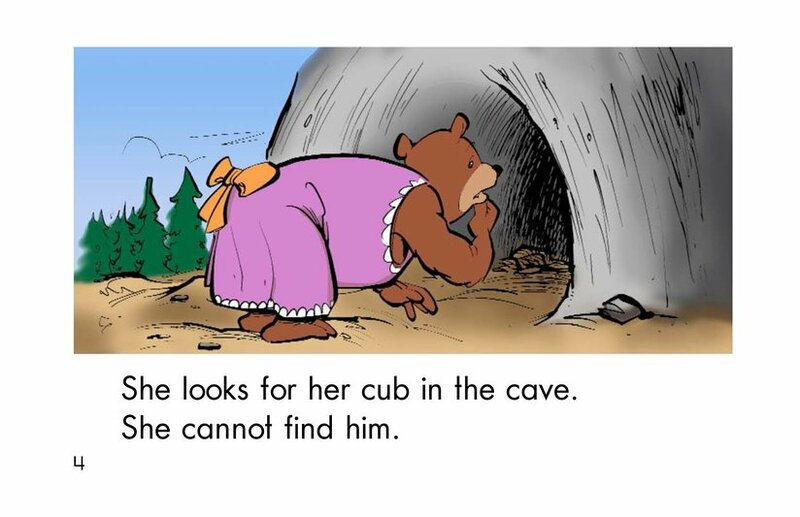 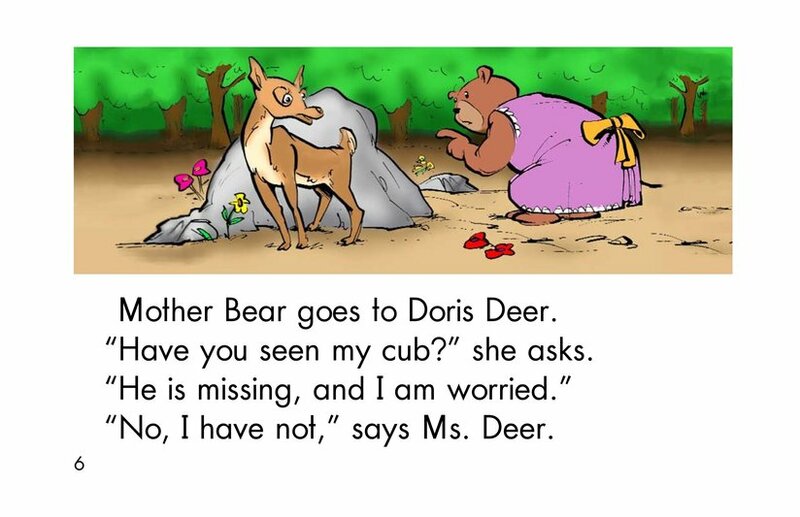 She visits several animal friends to learn if they have seen the little bear. 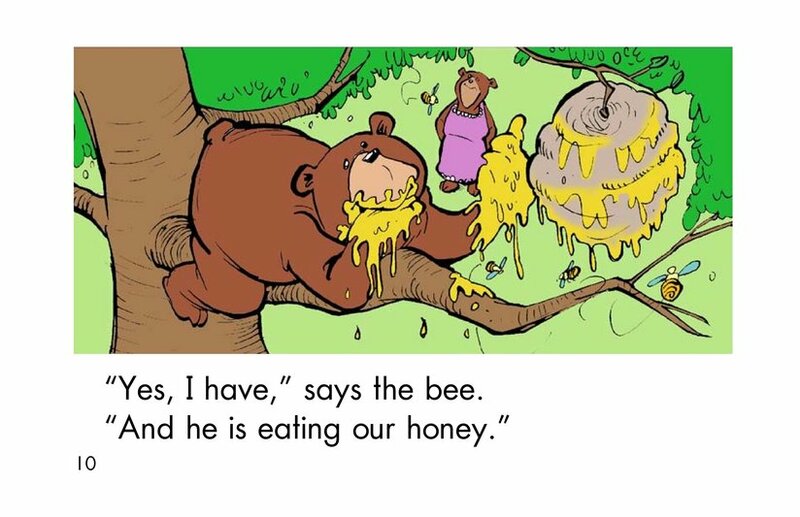 Finally, she asks a buzzing bee. 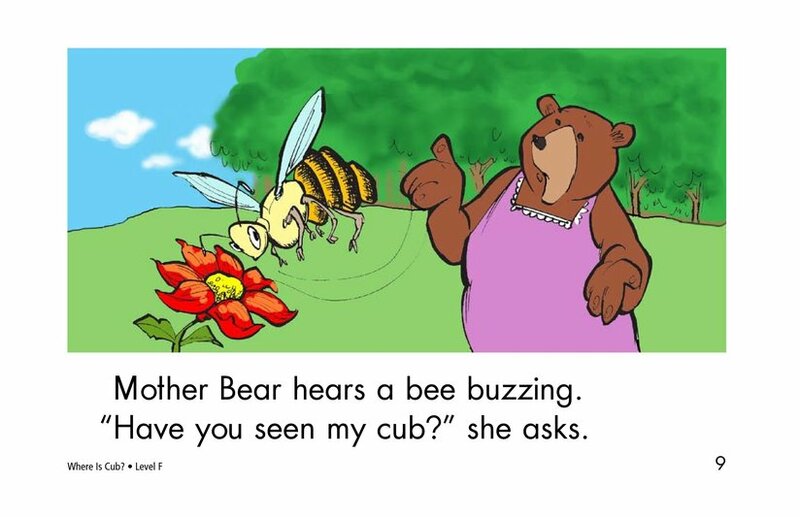 The bee has indeed seen her cub and is not at all happy about it. 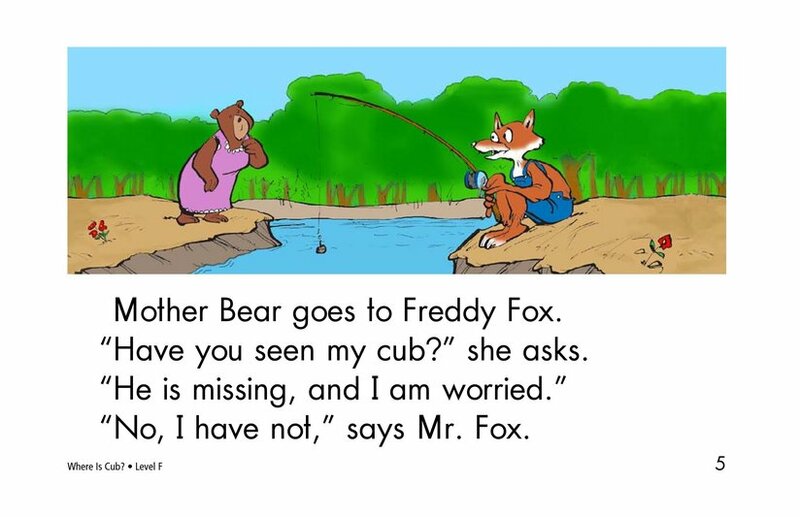 Strong illustrations support the story structure.